Ahmed is a certified BC teacher and leadership development practitioner with a passion for K-12 education. Prior to education, Ahmed managed a highly visible program of operational risk management in fifteen countries across Asia as senior vice president at a global financial institution. He also created a leadership development program and has trained professionals from around the world and at all levels of organizations. Ahmed has completed a Master’s degree in Human Development, Learning, and Culture from The University of British Columbia, with a focus on Social and Emotional learning. In addition, he is certified in the LEGO SeriousPlay method and the Myers-Briggs Type Indicator (MBTI). 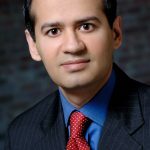 Ahmed’s previous education includes a Bachelors and Master’s degree in Economics, earned at The University of Texas at Austin. Ahmed’s education and work have taken him to cities around the world – Austin, New York, San Francisco, London, Hong Kong, Singapore, and now, Vancouver. An avid proponent of 21st century learning, Ahmed believes that educators need to act with greater urgency to better engage, develop, and equip the next generation of global citizens with the social and emotional competencies they will need to govern the world they are poised to inherit. Bev is a Master Executive Coach who brings to her coaching engagements 30+ years of experience working in and with international and domestic private and public sector organizations. She partners with senior executives, executive leadership teams, affinity groups and high-potentials to increase the scope and depth of their impact on their organizations. She brings together over 3000 hours of executive coaching expertise and experience with her clients’ extensive knowledge of themselves and their organizations to create powerful change and drive results. The results of her coaching are observable and measurable, and commensurate with the organization’s need for more powerful leadership in balance with the executive’s expectations for increased life balance, fulfillment and success. She has coached hundreds of executives & high potentials in all organization sizes, levels and functions, and a broad range of professional backgrounds. In addition to her coaching work, Bev is the co-author of the newly published book Leadership: Helping Others to Succeed , Dr. Warren Bennis, Representative Pat Schroeder, Beverly Benwick and Senator George Mitchell. Ian is a leadership and vitality coach with a primary passion for working with senior professionals who wish to improve their connection to and vitality in their career, wishing to make a transition to a meaningful and rewarding retirement or wishing to increase self-awareness and emotional intelligence. Ian’s love for this work developed naturally over his 25 year career as an executive and leader in the IT services industry in various capacities. Coaching is an expression of Ian’s purpose statement to “shift the lives of people to the possibility of living and leading essentially”. Ian has extensive experience as an executive spanning many areas of business and holds certifications in coaching from The Hudson Institute of Coaching, International Coach Federation and Learning In Action. Ian is also a past member of the Institute of Chartered Professional Accountants. Julie is an organizational development consultant and facilitator with twenty years international experience in leadership development, strategic planning, change and transition management. 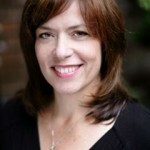 She has worked for and consulted with organizations undergoing major change in the private and public sectors in Canada, the United Kingdom and Ireland. Julie partners with clients to provide performance improvement services in the not for profit, healthcare, education, utility, financial services and government sectors. She is passionate about assisting people and organizations to achieve standards of excellence, while maintaining their values (and sense of humour! ), in a world of change. She has a Masters of Science in Performance Management and Training (Leicester University, England), a Bachelor of Laws (Edinburgh University, Scotland) and Diplomas in Training Management and Human Resource Management (Kingston University, England). Scott Borland, CHRP, CMC (Founding Partner), has more than 25 years of experience in management, human resources development, and organizational effectiveness. Working with Fortune 500 firms, as well as rapidly growing entrepreneurial organizations across a variety of industry sectors, Scott brings clear, insightful perspective regarding the interplay between strategy, leadership behaviour, and group dynamics in the workplace. Scott’s background as a senior leader and executive, along with his recognized expertise in organizational development, has enabled him to partner successfully with executives and their teams to significantly strengthen their implementation of business strategy. Scott has presented at provincial and national conferences on topics including competency modeling, leadership behaviour, and performance feedback. 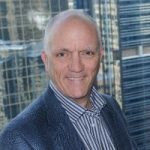 Scott holds professional certifications in management consulting and human resources, is a qualified executive coach, and is an active member of the Human Resources Management Association and the Canadian Association of Management Consultants. enhance cultures of performance accountability. I enjoy working with emerging professionals, advancing executives and high potential leaders, who are committed to growth, change and personal effectiveness. I focus on the client’s Emotional Intelligence, personal strengths and resources for courage and confidence, creating greater resilience by enhancing perspective-taking abilities. It is both a privilege and a pleasure to support and collaborate with clients, as they build personal leadership toolkits, develop and model competency in priority setting, service capacity, improve mindfulness, coaching and people skills, understanding individual differences, as they adopt their personal leadership styles. A member of the International Coach Federation (ICF), I hold the credential of Certified Professional Co-Active Coach (CPCC), earning my designation with the Coaches Training Institute (CTI). A keen interest in organization and leadership development with over 13 years experience in either custom designing programs, processes and systems, collaborating with clients or aligning with designed technologies already in place. Utilize work engagement surveys, 360 feedback and other leadership reports. Qualified to administer leadership competency and coaching styles inventory assessments, Myers Briggs Type Indicator (MBTI) Step 11 and EQ in Action Profile. In the community I have volunteered as Spiritual Care Director with Victoria Hospice, mentor MBA candidates, emerging leaders, facilitate women’s peer mentor groups, in 2012 nominated for RBC Canadian Women Entrepreneur Awards, held leadership roles at board, executive and committee levels. My personal leadership coach approach focuses on results through inquiry, feedback and dialogue while diligently striving for progress and desired business outcomes. Phone: 1- 250-382-6353 or 1-877-382-6353 from anywhere in North America. E-mail: meshenko@pacificcoast.net because Change By Choice™ Works! I am a writer, university instructor, and counselor in private practice. I delight in bringing energy, passion and creativity to individuals and organizations to assist them in implementing change. I have taught at Royal Roads University since 2001 as faculty in the MA in Leadership program and since 2004 in the school of Professional Communications. I have also taught for the University of Victoria in CACE, an Adult and Continuing Educational program, since 1997. My areas of speciality are: Communication, Creativity, Goal-Setting, Teams and Public Speaking. I am certified in the Learning in Action E.I. Profile and use it to bring awareness, growth and clarity to clients so that they may live richer, more rewarding lives. I have a Masters degree in Counselling Psychology, am certified Emergence Process Facilitator, and a student of Open Floor International, a movement meditation practice. truth without fear of reprisal. associations… just to name a few. I also offer “coaching-for-success” to individuals, executives, and teams. Leadership and Training Program (MALT), Royal Roads University, Victoria, BC. partnership with Integral City, Abbotsford, BC www.integralcity.com. Navigo Consulting & Coaching, Inc. I am passionate about individual and organizational transformation. As an executive coach and organization development consultant with 20+ years of experience working in complex organizational environments on strategic transformations that included technology, process, people, organizational structure and cultural changes, I come armed with a wealth of practical experience along with unending curiosity, a quick mind and a great sense of humor. My qualifications include a Masters degree in Business Administration from UBC, a Bachelor of Science degree in Psychology from Andrews University (Michigan) and my Certified Professional Coach designation from the College of Executive Coaching (California). Committed to ongoing learning, I have advanced training in all of my areas of expertise and I am certified in a number of tools and methodologies (e.g. Prosci® Change Management Certified Instructor, Advanced Facilitation Skills Certification, MBTI Certification, EQ-in Action Certification, etc.). the COO of the Faculty of Medicine at the University of Western Ontario. He is the founder and President of Pathfinder Coaching and Consulting. of the Vancouver Chapter of the International Coach Federation. coach who has managed her human resource development company since 1989.
someone who brings heart to organizations. corporations, non-profit human services and private sector organizations. measurement and evaluation, as well as social, economic and financial policydevelopment and analysis. Her business acumen, sound judgment and ability towork with leaders in the highest positions of authority and public trust, ledto advising the British Columbia provincial Cabinet on the health careportfolio (a $10 billion annual expenditure) from 1999 to 2001. This sparkedher interest and passion for affecting both individual and large systemschange. provincial and federal government departments, health authorities, emergencyhealth services, and private sector companies ranging from the transportationand safety industry, nuclear energy, and restaurant chains. Her clientsconsistently report experiencing increased flexibility and responsiveness tochange, improved performance and productivity, as well as more satisfyingrelationships. 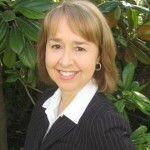 Lisa holds a Bachelor’s degree in Social Sciences from theUniversity of Victoria; her coaching certification is from the top-ratedAcademy for Coach Training in Edmonds, WA. 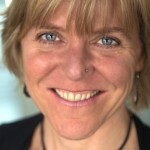 She is a trained facilitator,workshop presenter, conference speaker, and has been a monthly newspaperbusiness coaching columnist for Vancouver IslandNewsgroup publications. Sheis a member of the International Coach Federation (ICF) and holds the ICF’s internationally recognized coaching credential of PCC (Professional Certified Coach). Clarion Enterprises Ltd., specializes in emotional intelligence and leadership training. As President of Clarion Enterprises Ltd., Bruna Martinuzzi has helped numerous leaders to achieve personal effectiveness. She is a believer in creating self-awareness as the stepping stone for managing and developing yourself to achieve your personal best. Bruna is the author of The Leader as a Mensch: Become the Kind of Person Others Want to Follow. He is currently consulting, designing & facilitating workshops and coaching senior executives in various industries. In addition, Greg is an Associate Faculty member at the University of Phoenix, in both the Undergraduate & Graduate Business Management departments as well as a Faculty Advisor at Royal Roads University, Faculty of Business – MBA program. Beth Page is the owner of Dream Catcher Consulting, author of Done Deal: Your Guide to Merger and Acquisition Integration, and an international speaker. She also offers coaching and organization development consulting services in collaboration with her clients. action planning process to set intention and achieve desired outcomes. degree in Psychology at Carleton University. exercises and book recommendations are included. You will find more about her and her writings at www.dreamcatcher-consulting.com. Terry Ramsey is a Master Certified Coach and leader in the world of coaching. Her inspiring style and deep capacity to connect powerfully with people has consistently resulted in the generation of quality relationships and award winning teams. Terry partners with executives, managers and employees to increase their Emotional Intelligence, create impact, communicate effectively, and build alliances to balance themselves and others to peak performance. She is able to create the environment, structure, focus and honesty necessary for learning, change and achievement to flourish. Terry’s passion is to create ‘coaching cultures’ within organizations. Using her strengths-based approach and substantial international/cross-cultural expertise she has worked with hundreds of mid- and senior-level managers/ leaders. 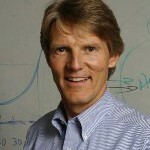 Prior to becoming an Executive Coach, Terry held leadership positions in the healthcare industry across Canada. A skilled coach provokes thought, engages you in dialogue, increases your self-awareness and ultimately lets you decide what’s best. 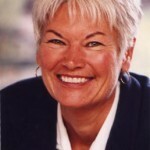 Terry received her Master Coach designation (MCC) in 2003 from The International Coach Federation. It has been renewed in 2013. Her ability to quickly assess client needs and move toward the development of action plans makes her an ideal coach for leaders eager to achieve both their personal and professional goals. Terry is certified in The Learning in Action E. Q. Profile and uses it with her clients and finds it an extremely valuable tool. She recently served for 3 years on the Board of Ethics Committee of the International Coach Federation, the organization that establishes industry standards to insure the highest level of professionalism in coaching, worldwide. Terry also serves on the executive coaching faculty for the Global Institute for Leadership Development (GILD), an accelerated six- day intensive experience, geared toward Fortune 500 emerging and senior leaders and their teams produced by Linkage, Inc.
researching the upfront need for change, through to the implementation. British Columbia. She is currently in private practice. through the Coaches Training Institute. Geoff is an experienced Organization Development Consultant focused on leadership development, team development, strategic planning, and change management. He is an accomplished facilitator, workshop designer and consultant. His goal is to maximize return on human capital through a variety of OD practices, including intact team workshops, facilitation, coaching, and large group conferencing. He analyzes and identifies organizational challenges, helps to develop effective teams and strong leadership, and supports the successful implementation of organizational change. He has experience supporting Senior Executives (CEO and VP-level) and front-line supervisory leadership. He has designed and facilitated over 600 engagement workshops ranging from half-day to 12-day sessions. He has lead the Engagement work on two cross-organization department consolidations, and two corporate initiatives each affecting over 1500 staff. Geoff has been an OD Consultant since 2005. Prior to entering the Organization Development field, he spent three years as an Investment Banker in London, England and seven years as an Advertising Agency executive in Canada. He has worked in Canada, the USA, the UK, Scandinavia, and Asia. 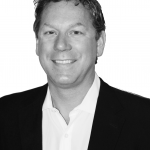 Geoff earned a Bachelor of Commerce from UBC in 1992 and an MBA from London Business School in 2002. His certifications include MBTI, Emotional Intelligence (EQ in Action), Executive Coaching, Bridges’ Transitions, Process Work Facilitation, Conference Model methodology, ShadowWorks, Flawless Consulting, PROSCI change management, Human Systems Dynamics, and others. community, national and international level. the personal, societal, business, governmental and ecological levels. * connect to organizational, and community-related initiatives that build collaboration [www.gingergroup.net] and partnership. organizations, and communities shift thinking and build capacity. Katie’s work at The Refinery includes facilitating, teaching, coaching and consulting with client organizations on performance management, leadership and skill development, team integration and functioning, and interpersonal and emotional intelligence.Drawing on her passion, training and experience in psychology, organizational behavior, human resources practices and human systems, Katie designs and leads workshops, facilitates team and group sessions, coaches 1:1 and partners with clients to rethink and enhance their people practices. Prior to joining The Refinery she worked in a variety of HR roles with D-Wave Systems, Radical Entertainment, Creo Inc., MacDonald Dettwiler & Associates, BC Hydro and Ballard. She’s had the great fortune to work in an HR and OD capacity for projects in Canada, the US and Hong Kong. She sees her role as helping organizations discover and cultivate the capabilities and culture that inspire exceptional performance. Katie holds a B.A. in Psychology from Simon Fraser University, a Human Resource Management Diploma from BCIT and a certificate in Training and Development from Boston University. She is also a certified consultant for the EQ-In-Action emotional intelligence assessment.Katie is active in the BC OD community and is currently working on her Masters degree in OD at Fielding Institute. Katie sees her role as helping organizations discover and cultivate the capabilities and culture that inspire exceptional performance. Drawing from her deep dives in performance psychology, brain science, motivation, emotional intelligence and organizational dynamics Katie asks her clients to become “scientists of themselves” where they learn about their own blueprint and define their developmental edges. Using humor, hard questions and a keen interest in seeing her clients reach both personal AND organizational goals, Katie pushes for self mastery.